It seems most people cannot differentiate still between good and bad, lies and the truth, between the what and the tares, even as to what commandments are applicable today and which ones are not applicable to day.. Why not? they do not have the Holy Spirit in them for a start.. Jesus is not the Lord of their life yet too..
Clearly the commandments that God gave originally to the Jews, the commandments of the law and the prophets and those he now gave to the Apostles, and which he now gives to the Christians in his Church do even differ significantly.. and the new commandments they are included in the new Covenant, the new Testament, but what are they now still? John 14: 21 He that hath my commandments, and keepeth them, he it is that loveth me: and he that loveth me shall be loved of my Father, and I will love him, and will manifest myself to him. The new Commandments specifically includes abiding in Jesus Christ as well as being filled with the holy Spirit, as there was no such commandment in the Old Testament..
John 15:1 I am the true vine, and my Father is the husbandman… 5 I am the vine, ye are the branches: He that abideth in me, and I in him, the same bringeth forth much fruit: for without me ye can do nothing. 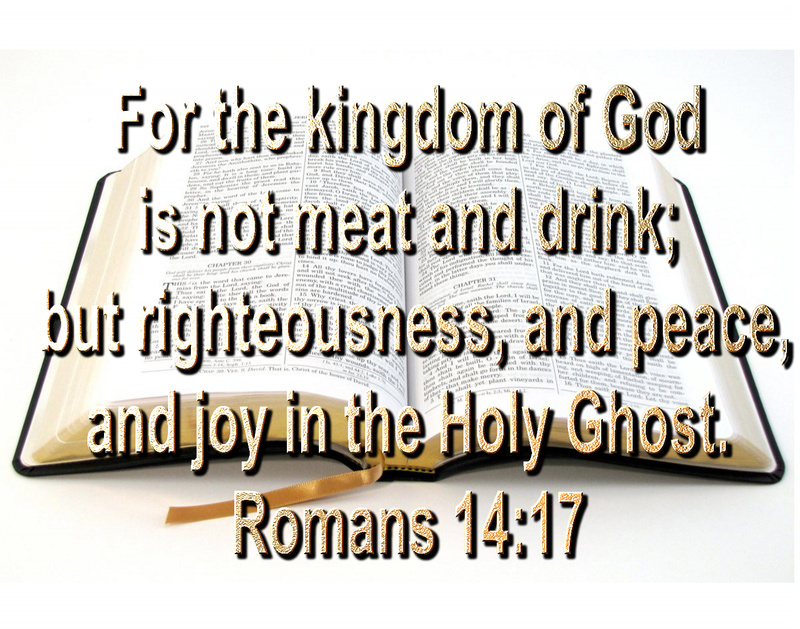 The new Commandment specifically includes abiding in Jesus Christ as well as being filled with the holy Spirit, as there was no such commandment in the Old Testament..
R.omans 14:17 For the kingdom of God is not meat and drink; but righteousness, and peace, and joy in the Holy Ghost. Colossians 2:22 Which all are to perish with the using; after the commandments and doctrines of men? 1 John 3:22 And whatsoever we ask, we receive of him, because we keep his commandments, and do those things that are pleasing in his sight… 24 And he that keepeth his commandments dwelleth in him, and he in him. And hereby we know that he abideth in us, by the Spirit which he hath given us. 1 John 5:2 By this we know that we love the children of God, when we love God, and keep his commandments. 3 For this is the love of God, that we keep his commandments: and his commandments are not grievous. Revelation 14”12 Here is the patience of the saints: here are they that keep the commandments of God, and the faith of Jesus.